So much for good intensions. I was intending to update the blog on the 1.1.10 but life got in the way: family, friends, garden, cat and dog (both being looked after and both demanding attention). It has been a very busy Festive Season. The plan for this year is to highlight at least one piece of weaving a month (when I am home). 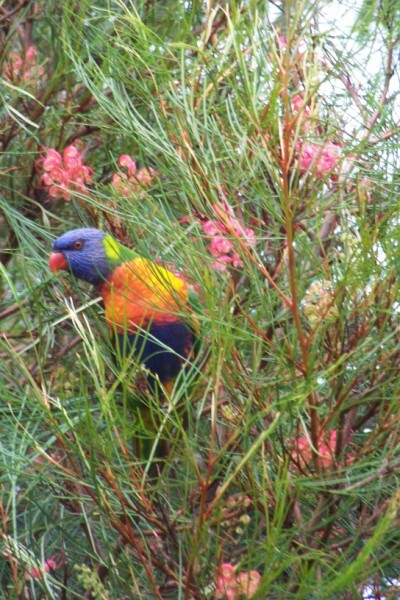 Noisy visitors come to my garden. Another plan for the year is to upgrade the garden, making it dog friendly and yet providing a haven for visitors of all persuasions and a palce for quiet reflection for myself. Hard work is about to begin as a major overhaul is required. 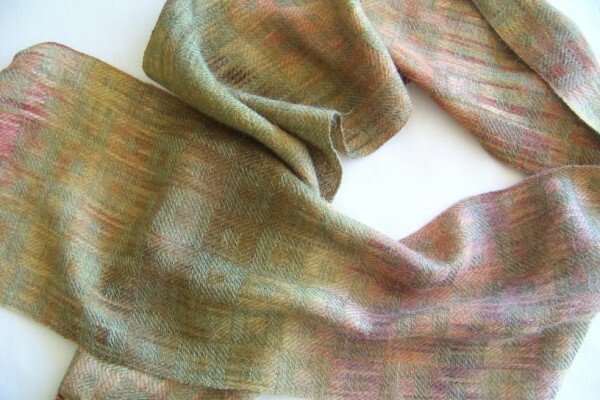 One of a series of scarves woven in alpaca/silk on 24 shafts. This particular scarf could have been woven on 16 but extending this draft to 24 allowed me to play with other block arrangements on the remaining warp. 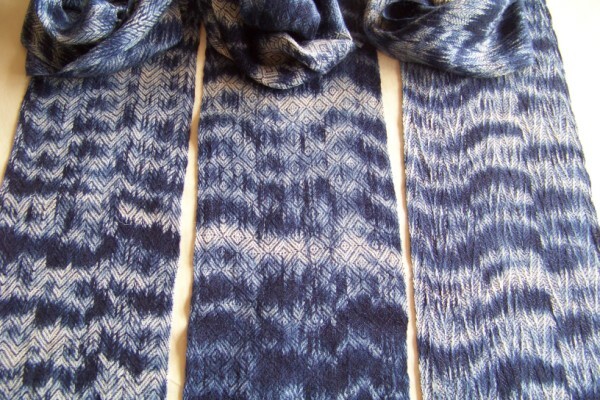 This series started as a quick way to colour a warp navy and white. 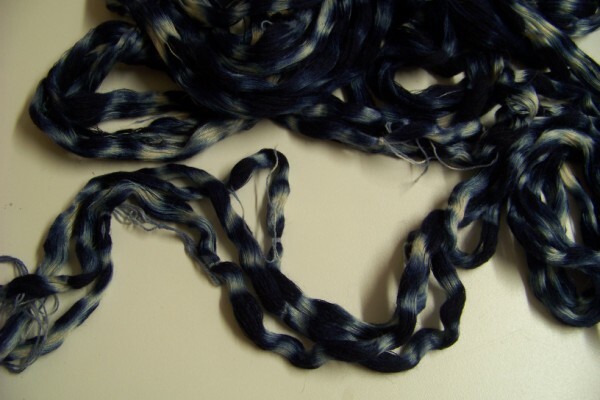 The warp was wound in 3 sections, plaited tightly and dyed in a navy dye bath. This process of resist dyeing on a warp and then weaving is in essence a form of ikat. It was a very quick form though. The warp was prepared, dyed and dried in a morning. By varying the treadling sequence on an 8 shaft threading, 3 different patterns are obtained. It was interesting to see the flow though in the dye pattern created by the plaiting. You are currently browsing the Kay Faulkner's Blog blog archives for January, 2010.